Something happened last week that I’d like to tell you about. This story is aimed especially toward anyone who’s sitting on the fence, suspecting that their relationship with alcohol isn’t healthy, but not sure if that’s a good enough reason to quit. After all, you probably have a successful career, marriage, happy family…. You’re fine! You’ve never had to deal with any negative consequences of your drinking, right? I totally get where you are – I was there too, for many years. I’ve mentioned before that one of the main reasons I decided to quit drinking was the fear that I would do something under the influence that would hurt one of my grandchildren. Thankfully – I stopped before anything like that ever came to pass. Our youngest granddaughter is almost two. She lives six minutes away and we see her several times a week. This child is a miracle – born to our older daughter after a pregnancy fraught with complications that I’d never heard of before – complete with an emergency c-section delivery that was completely harrowing. In her short time on earth, she’s been hospitalized two or three times with viruses and high fevers. She has asthma. And peanut, tree nut, and cat allergies. You’d never know it by her appearance or the way she talks and plays and sings. To say that she’s precious to us is an understatement of epic proportions. So last weekend was rainy and chilly. I had a hankering for homemade sauce and meatballs. We invited our daughter, son-in-law, and this little one over for dinner. I’m happily tending to the sauce and boiling spaghetti. For some reason I may never understand, a little voice in my brain says, “Check the pasta boxes.” So I go to the recycling bin and pull one out. I’m struck dumb when I read the ingredients: made with chick pea and lentil flour. Both are legumes and could have caused – no, WOULD have caused – a pretty dramatic allergic reaction. So I told my daughter what I discovered and we quickly regrouped. Little sweetheart did have Grandma’s meatballs, cottage cheese, and corn. Strange combination, but she loved it. But here’s the thing: if I hadn’t made the decision to quit drinking, I know myself well enough to know that I would have had two or three glasses of wine already on an afternoon just like that one. (Pasta and sauce? You HAVE to have wine, right?) And if I even heard that little voice, which I doubt, I’m reasonably certain that I would have ignored it. The results would have been awful: for her, for her parents…. And most definitely for me. I would never, EVER have forgiven myself. And the entire situation would have been a direct result of the muddled state of mind that I routinely inflicted upon myself by drinking. But I know, in the very core of my being, that I dodged a HUGE bullet last weekend. Another reason I’m so incredibly grateful that I stopped drinking when I did. The kids all came over for dinner yesterday, to celebrate Mother’s Day. My husband had ordered specialty pizzas from my favorite place, along with these incredible, pizza oven baked, lemon-juice-and-olive-oil marinated chicken wings. Our son brought dessert and one of our sons-in-law brought two delectable salads he’d made. And homemade Gorgonzola vinaigrette. I was in food heaven! By the time my son and his family arrived, our three year old granddaughter had fallen asleep in the car. She was carried in, snoozing contentedly, and lovingly placed in the middle of our bed and surrounded by pillows, to continue her slumber. When she was awakened for dinner, it was discovered that she had peed on our comforter. 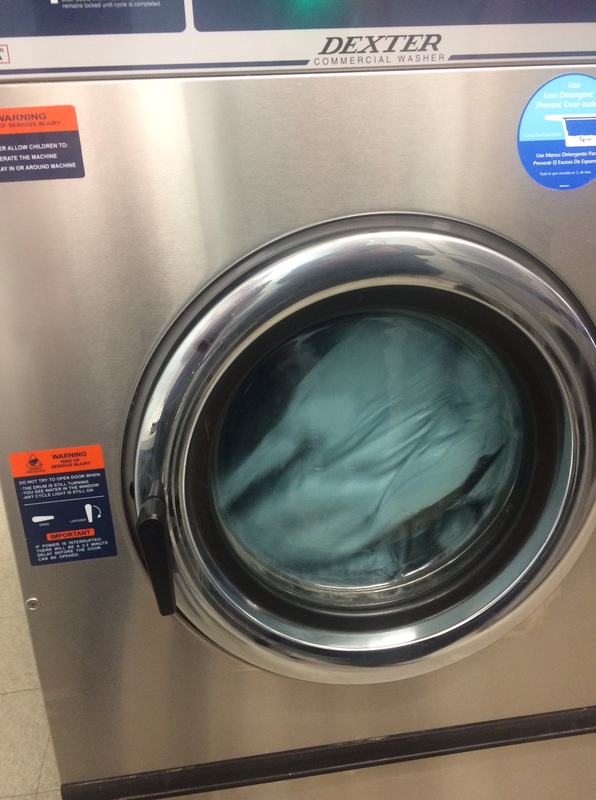 It’s one of those big puffy ones that has to be cleaned in a commercial washing machine. I was a little unsettled, and went to determine just how much of our bed would need to be stripped and laundered. Luckily, nothing had soaked all the way through the bedspread so that was all that needed washing. So, we sit down to dinner. Everyone’s laughing and talking and passing things at the table. My son goes to pick up one of the bowls of salad – which was heavier than he expected. The bowl slips out of his hand, and he inadvertently knocks over his bottle of beer. It goes sloshing across the table and onto his niece’s plate of food. This sweet toddler has recently been diagnosed with peanut and tree nut allergies, so her Mama prepares her food very carefully. Into the trash her dinner went, and some homemade frozen soup had to be defrosted for her dinner instead. Much mopping up and apologizing ensued…. At the end of the evening, after everyone left, my husband and I headed up to the laundromat at about 8:30. This was the view as we sat and chuckled about the events of the day. And we laughed as we talked about how grateful we are that we HAVE children and grandchildren living within 20 minutes of us who can spill beer all over the dining room table and pee our bed. I silently contemplated how differently I would have reacted to mishaps like this a couple of years ago. Maybe not outwardly, but – I would have been SO massively annoyed, especially about being inconvenienced by the trip to the laundromat. And no one but me would know how much I resented my “down time” (i.e., drinking time) being cut into. I was so incredibly calm and NOT stressed out. Truly a Mother’s Day to remember. Last weekend we went to a concert . Our local philharmonic was playing, featuring the music of Elton John. His music comprised a huge chunk of the soundtrack of my youth. One of the first songs they played was “Daniel.” Admittedly, it’s a sad song – and I felt the tears start to well during the opening notes. I was overwhelmed by a wave of nostalgia and regret and gratitude. The nostalgia piece is probably obvious…. I spent hours as a young teenager, sitting cross-legged on the floor of my bedroom in front of the record player listening to “Madman Across the Water” and “Goodbye Yellow Brick Road.” Memorized the lyrics written inside the album cover, singing along with every song. It brought back memories of the girl I was, with my entire life ahead of me. I’m at a point in my life where there’s more of my life behind me than in front of me, and I guess I’m getting nostalgic in my old age. And I had one of those “time-removed-from-time” moments: when you step outside of yourself and view your circumstances with such clarity and perspective that it feels almost other-worldly. I was so acutely aware of how the old, pre-sobriety me would have most likely approached an evening out like this one. I would have suggested dinner out first – most likely with a cocktail first, and then wine with the main course. The concert hall had several bars set up – I would have insisted that we wait in line to purchase overpriced glasses of wine to sip either before the concert or during the intermission. Then I would have been a little “itchy” as the evening wore on, anxious to get home and have even more drinks. Because it’s the weekend. And a special occasion, of course. And finally, the gratitude that washed over me was all-encompassing. Almost overwhelming. It occurred to me that I was absolutely present and living in the moment – loving every second of the concert and so gloriously, acutely aware that this new way of life is a gift and a blessing. I was struck by this feeling that I’d been asleep for so long, focusing too often on the wrong things – and I’ve spent the better part of the past 20 months honing in on how to create a new life for myself. Without a trap door or escape hatch. I’m just now fully waking up and appreciating the gifts that have been right in front of me for so long. This sober life, that I was so terrified of – is so completely amazing.